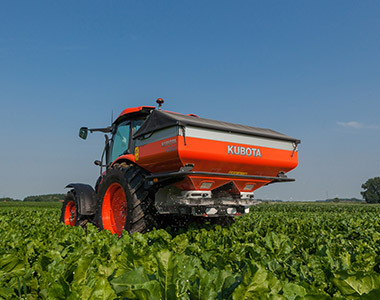 The Kubota DSM is medium in size and volume, but can spread up to 28 metres and comes with the RotaFlow system as standard. 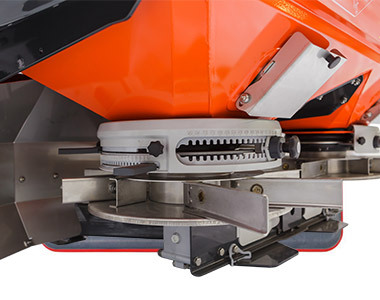 It also comes with 8 vanes per disc for the same spreading quality as the bigger spreaders. 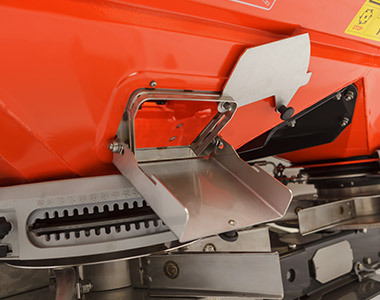 The DSM can be equipped with most of the accessories for larger spreaders such as aluminium hopper extensions, TrimFlow for border spreading, parking frame or LED lights.